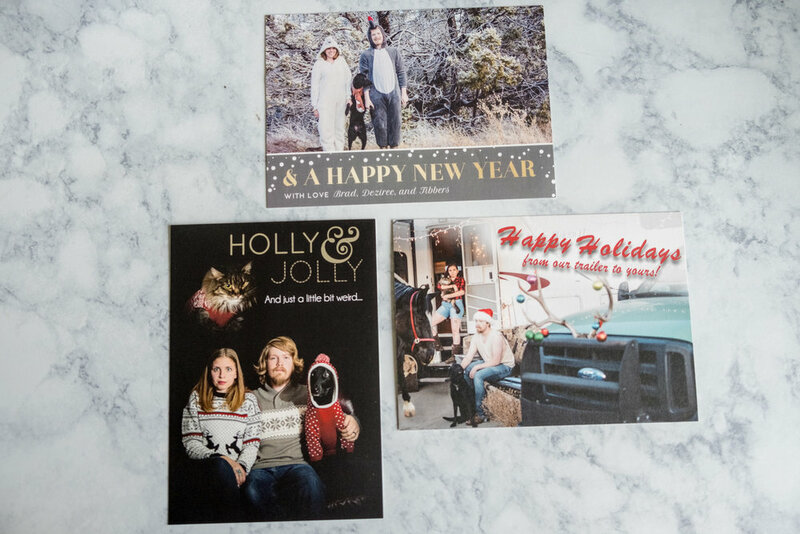 If you know me at all, you know that my family and I are obsessed with sending out Christmas cards that are a little awkward and weird. This year, while we were designing our newest card, I decided to pull out all of our past cards so I could bask in how much I love our cards. Our first Christmas Card wasn’t even that bad. The front was all very nice pictures. We just decided for the back we should wear our animal onesies. And since Tibbers (our only pet at the time) didn’t have an animal onesie, we decided she should wear a fox scarf. But then the next year, we got Death Cat for Cutie, and since I love awkward photos of cats, and those hovering head photos, we decided to combine those for our card. But don’t worry, we made it classy with the foil lettering on the front! The cat was not amused. The dog was not amused. But Brad and I were very, very amused. 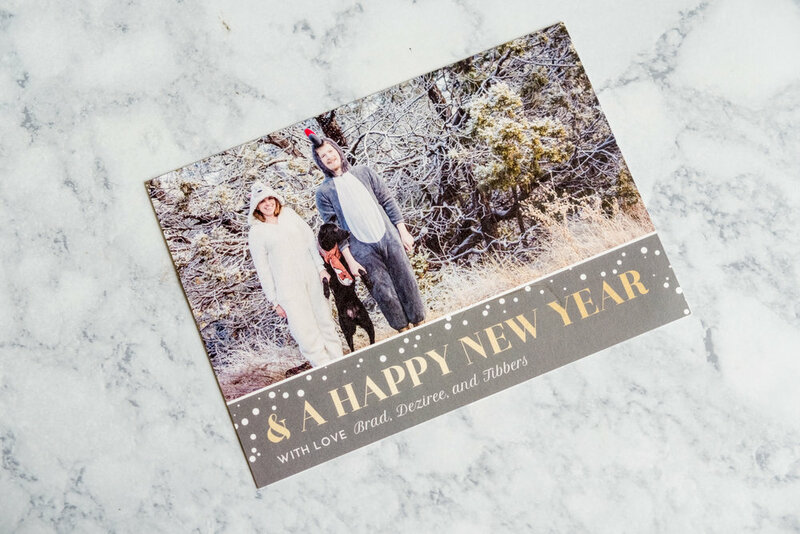 This year, after two (okay three) years where we were decidedly not cool in our cards, we decided we needed to change things about. We needed to be cool. No, super cool. No, not-looking-at explosions cool! 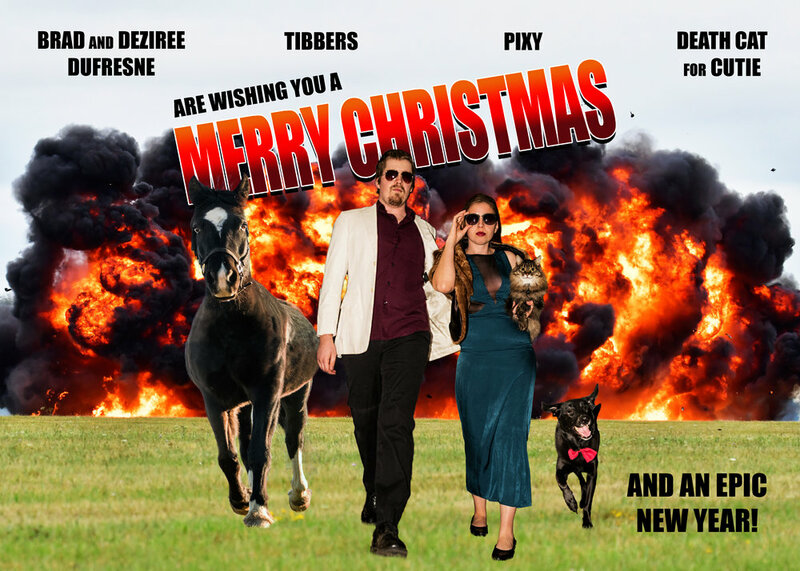 And so I present to you, 2018’s Christmas Card, which Brad has boldly declared to be his favorite card of ours yet! Personally, I am quite fond of the back, since I spent a lot of time making a map that shows our RV travel (plus additional travel) for 2018. It was an amazing year driving all around the country, not to mention getting to photograph horses in several states! But anyways, Merry Christmas! I hope everyone is having a fantastic holiday, and a wonderful New Year!